Welcome to Twin Lotus Production. My name is Christal Mai. 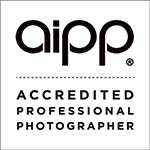 I am a Brisbane based AIPP accredited professional wedding & portrait photographer who creates natural, elegant and fine art style photographs. I photograph weddings in Brisbane, Gold Coast, Sunshine Coast, and destination worldwide. Want to know the top 5 tips for your wedding planning? Enter your email and we’ll show you in our FREE Video Series! Learn how to plan your wedding stress-free, make your dream day come true!